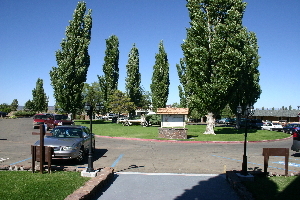 CALIFORNIA PINES in Modoc County is a beautiful community surrounded by 2 million acres of the Modoc National Forest in Northern California. California Pines is a peaceful and uncrowded retreat... with green meadows, towering pines andt rickling streams. It's a place to get away from the stress of the big city. If you want to get back to nature, if you want to escape and become part of a tranquil and laid-back community, then come to California Pines and escape tot his outdoor paradise. 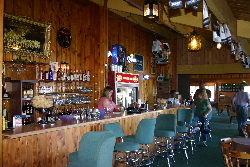 THE CALIFORNIA PINES LODGE sits on a small peninsula surrounded by California Pines Lake and features 28 rooms for guests, a restaurant and cocktail lounge, activity room with big-screen TV, ping-pong and pool tables. There is also a banquet room with a magnificent double-sided, oversized fire-pit, which also warms the reception area of the lodge. The grounds of the lodge include a swimming pool and two paddle-tennis courts. .
FOOD & ENTERTAINMENT ... Enjoy a wonderful break from the city life as you feast at the California Pines Lodge overlooking the lake. The lodge resturant is open for breakfast, lunch and dinner seven day a week. The cocktail lounge is open every day until the wee hours of the night, serving up some of the best drinks, local gossip, pool, ping-pong and big screen television for the sports events. Come join us for the 4th of July Altruas "Fandango Days" celebration with a fireworks show put on by the Calpines Property Owners Association!